There is a lot that goes into reading and writing. One of the skills that makes up the ability to read words and form letters in handwriting tasks with fluency is visual closure. Visual Closure is the ability of the eyes to visualize a complete image or object when only a portion is seen. A child can see just part of a letter or number when reading and recognize how to write that figure. They can read a word or sentence without focusing on each letter and how it is made. Visual Closure is an essential skill for reading with fluency. It's necessary for written work to happen without concentrating on each letter's lines and curves. Visual Closure allows us to comprehend words and letters without actively assessing each line. Children with difficulties in visual closure may have trouble completing mazes, puzzles, or worksheets. They might have difficulty identifying items that are partially obscured by other items, such as finding a serving spoon hidden in a draw full of items. They might have difficulty with spelling or math tasks or concepts. 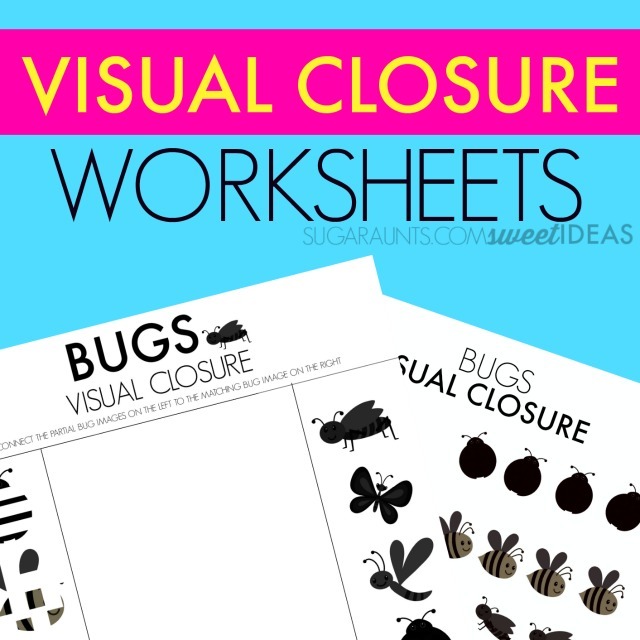 These visual closure worksheets can help work on the skills needed to develop visual closure. 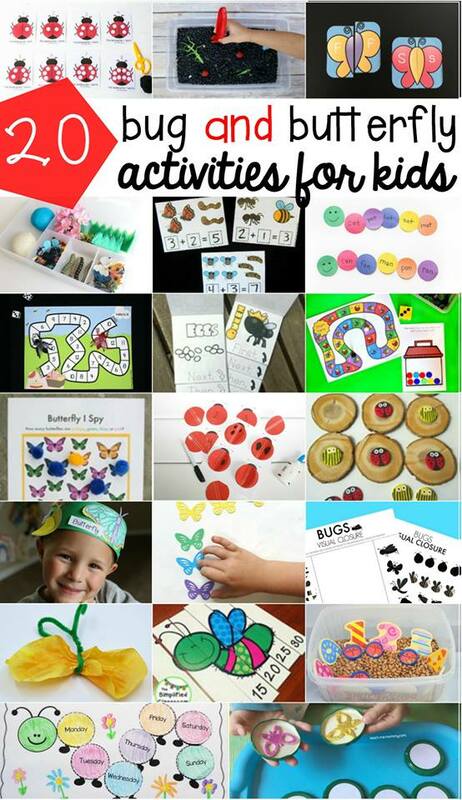 You can get these worksheets as a FREE download if you join our newsletter subscriber list. You'll be directed to a link where you can access these sheets and all of our other newsletter subscriber freebies. 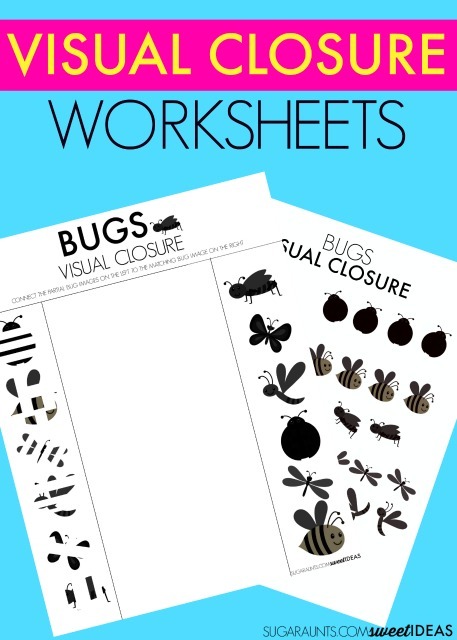 To use these visual closure worksheets: Match up the bug on the left with the bug on the right. 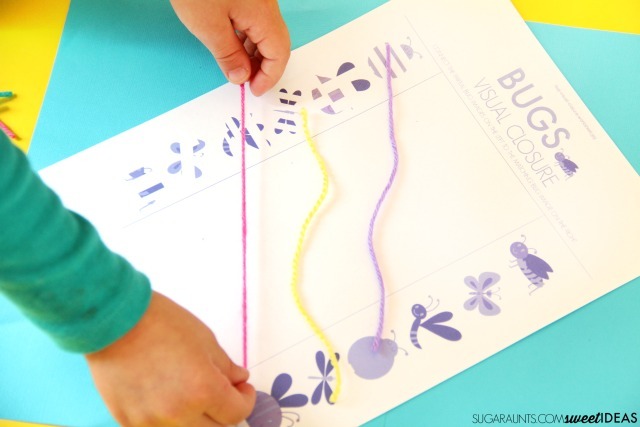 We used yarn to complete the match so that we could re-use this sheet. You could also laminate these to re-use. For the second worksheet, match up the broken bug image with the rotated bugs. 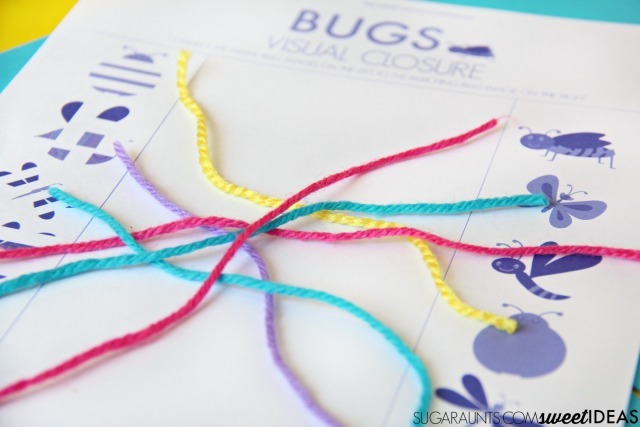 Have your child circle the bug that matches the broken bug exactly. Join our newsletter subscriber list to grab this freebie!